It’s easy to do just what the family likes— because they like it— and what’s easy to fix— because it’s easy to fix. Let’s take one step over the line and look at branching out a bit. It doesn’t take much to put some new interest into old favorites using Florida ingredients. It’s hard to beat burgers for a quick meat. If you use lean meat you need to add moisture. Make them with grated zucchini or yellow squash. Just enough for moisture though, not so much they fall apart. The same goes for meatloaf and meatballs. Zucchini doesn’t have much taste so ramp up the flavor with grated Romano cheese. Again with ground beef, or pork or turkey, mince some Florida mushrooms and strawberry onions and give them a fry to release moisture. Add minced garlic and fry a bit more to dry them out a bit. Mix this with burger meat or use as part of a meatloaf. Add tomatoes and it can be a burger or meatloaf topping. Off topic— look where the garlic you buy comes from. We don’t grow a lot in Florida, but American farmers benefit when you buy as local as possible. California is much closer than China. It’s time to get corny in Florida. Here, again, you can get creative with what we have to make meals better. 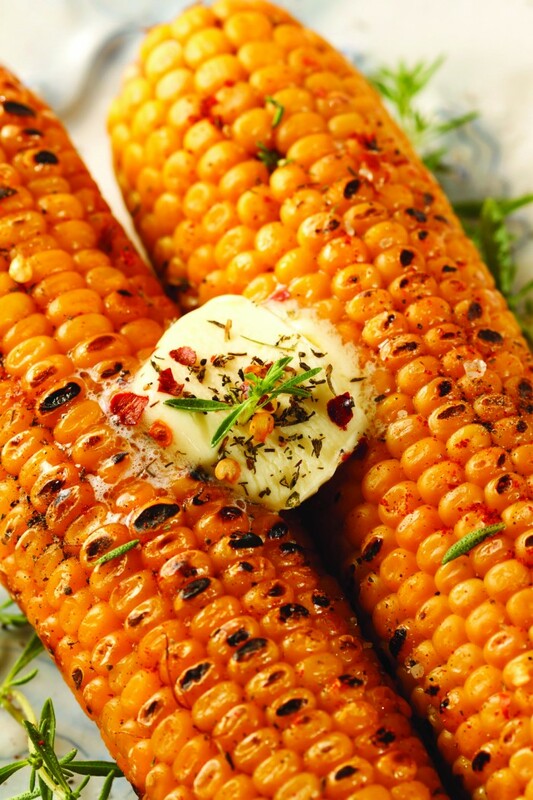 Use two Florida favorites at once: cream butter and orange or lemon zest, and serve it on corn on the cob. What to do with the zestless orange? Peel it and take out the seeds, then make it part of a morning smoothie. Florida grape tomatoes are a natural kid-pleaser. They’re small, sweet, and colorful. To put a little protein with them, cut them in half and toss with cubes of mozzarella cheese. Depending on the age of the child, they can be finger food or let the little ones spear their own with a toothpick. Take it a step further: make a happy face with a slice of melon as a mouth and tomatoes and cheese as the rest of the features and hair. Season hamburger patties with Worcestershire sauce and Traeger Beef Shake. Start your Traeger on smoke with lid open for 5 minutes to get started. Place patties on tin foil (do not wrap), and smoke for 2 hours. 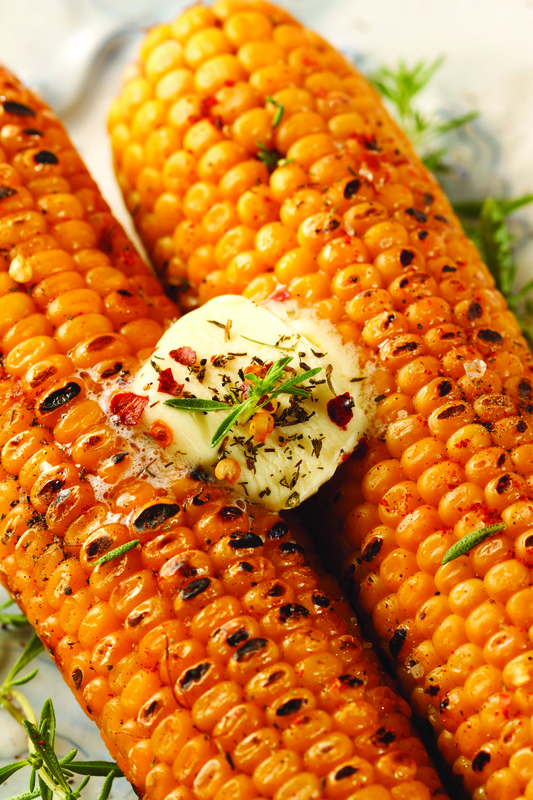 Remove from grill and enjoy! Adults will enjoy the same base of tomatoes and cheese with cubes of meat and a drizzle of good Balsamic vinegar. Add slices of cucumber, florets of blanched broccoli, and strawberries, then crumble Blue or Gorgonzola cheese over the whole thing. It’s a lunch. It’s a first course. Use it to top greens and it’s a whole-meal salad. It’s fun to look at an ingredient and figure out what you can do with it that’s new or novel. Take Florida oranges. You can use them at every meal— especially if you have trees or generous neighbors. Juice them for breakfast or add them to smoothies. Add cubes to oatmeal or dry cereal. Sections top salads for lunch or dinner. Kids will like orange smiles with their PB&J at lunch or for snacks. Dinner is a natural for oranges. Brown thick slices of pork tenderloin or chicken breast, then braise them in OJ with fresh herbs. Let the liquid reduce to a sauce or thicken with cornstarch if the meat would overcook. A generous friend of Number One Son is a gator hunter and orange juice became a marinade and poaching liquid for a reptile repast over the holidays. Even the Northern relatives, after they got over the thought of gator, said it was good. Granddaughter reserved judgment. Add tons of flavor to a roasted chicken by stuffing with fresh orange or lemon or grapefruit pieces before it bakes. Use more slices for a bed for the bird. While the finished bird rests, take the fat off the pan juices and thicken the liquid for great gravy. It’s wondermous over rice (and yes, I just made up that word). Now that you have the idea, look at Florida ingredients with a new eye.